It is a pleasure for me to be here with you again for the annual Catholic Media Convention of the Catholic Press Association of the United States and Canada. It is also an honour to be present at this Awards Ceremony in which we are recognizing the wide range of talented media professionals working in Catholic media. I have had a chance to meet many of you already in my brief time here, and your experience and enthusiasm give me great hope for the future of Catholic media. It is really encouraging to witness your dedication and commitment, especially during these challenging times for Catholic media and the Church in general. I would like to offer just a few considerations which I believe are important when we reflect on our own work as Catholic media professionals. These ideas will not be new to you, but it is always helpful to reconsider them anew, as a way to identify more deeply with our responsibility, mission and commitment as Catholic media practitioners. The first area touches on the theme of our gathering, taken from the first letter of Paul to the Corinthians, “We, though many, are one body”. Our identity, and our inspiration for all that we do, is rooted in our faith in Jesus and our belonging to his Church. We are many persons of diverse backgrounds, experiences and perspectives, but we are members of one body in Christ. 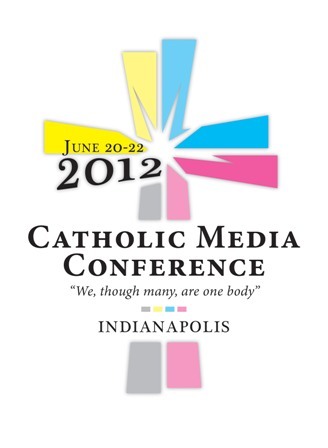 This goes to the core of who we are and our identity as Catholic communicators. Everyone working in the media is called to the highest professional and ethical standards of excellence, such as, the search for truth, fairness in reporting, respect for human dignity and concern for the common good. At the same time, as believers in Christ and members of his Church, we are called to even more. We have to learn from Him what it means to love and how to express this love in our personal and professional lives. With our lives rooted in Jesus Christ, who loves us without limit and gave his life for all, we must also share and give witness to this faith which is expressed in our attitude, respect and care for others. We must be living witnesses of the Gospel with our faith permeating who we are and all that we do. In the same way, our professional activities require continuous updating and improvement. Working in the field of media today is perhaps, like no other time in the past, one of the most demanding tasks. The convergence of media technologies and the new culture and emerging forms of communication require an extraordinary ability to adapt quickly. Otherwise, we run the risk of becoming outdated or irrelevant. Perhaps even more important than the new technologies are the new ways people relate to one another through social media, for example. We have to continually ask ourselves how our own Catholic media outreach can be part of this reality. The Holy Father has spoken numerous times on the many aspects of communication and the Church’s commitment in this field. In a sense, communication is what we are all about. In 2008, he addressed participants at a conference organized by the Pontifical Council for Social Communications on the identity and mission of the communication departments in Catholic Universities. “The diverse forms of communication – dialogue, prayer, teaching, witness, proclamation – and their different instruments – the press, electronics, the visual arts, music, voice, gestural art and contact – are all manifestations of the fundamental nature of the human person. It is communication that reveals the person, that creates authentic and community relationships, and which permits human beings to mature in knowledge, wisdom and love. He notes that we must have a conviction that only in the Word made flesh does the mystery of the human person become clear. The consequence is that the Catholic identity lies … in the decision to entrust oneself, intellect and will, mind and heart, to God. – the responsibility to sustain and encourage communion among all Church members. First, the Catholic press has to live up to the same professional and ethical standards as the press in general, the search for truth, fairness in reporting, respect for human dignity, and so forth, as I’ve mentioned before. It also has to face the same challenges as the secular media in producing content which attracts, interests, informs and inspires people. The Pastoral Instruction Communio et Progressio notes: “That part of the Catholic press which is of general interest publishes news and opinions and background articles about all the facets and problems and worries of modern life. This it does in the light of Christian principles. It is the task of the Catholic press to balance, to complete and, if necessary, to correct the news and comments about religion and the Christian life. At one and the same time it will be a glass that reflects the world and a light to show it the way. It will be a forum, a meeting place for the exchange of views. Third, the vocation of the Catholic press is to be missionary, also in the literal sense of the word. It aims to spread the good news of the Gospel to the ends of the earth. The methods, media and strategies employed vary greatly and depend on the local culture, the audience being reached and their disposition. This outreach of evangelization concerns both Church members and non-members. We need to reach out to all people, wherever they are in their journey, by supporting, educating and inspiring them through who we are and what we produce. The pastoral instruction “Communio et Progressio” notes: “The modern media offer new ways of confronting people with the message of the Gospel, of allowing Christians even when they are far away to share in sacred rites, worship and ecclesiastical functions. In this way they can bind the Christian community closer together and invite everyone to participate in the intimate life of the Church. This entry was posted in reprints and tagged CATHOLIC MEDIA CONFERENCE, Claudio Maria Celli, mons. Celli, Pontifical Council for Social Communications, Presidential Medallion Awards, St Francis De Sales Award. Bookmark the permalink.